This month’s facilitator is ASP’s newest addition to ASP Board of Trustees, Ms. Jacqueline C. Garcia. * She is elected president of ASP Molino Chapter, the 37th Chapter of ASP. * She is a Physical Education teacher at Claro M. Recto High School in Legarda, Manila. 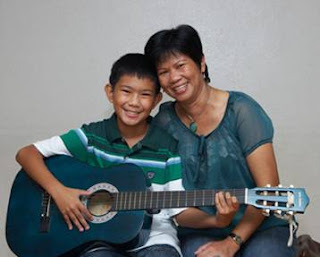 * She runs a special education tutorial center in Camella, Bacoor, Cavite hoping to reach out to other children with autism like her son Johnvid who is now 11 years old. * She even advocates for autism during her family outings! We celebrate World Teacher's Day this October. Come meet this tireless lady and know the secret formula to balancing a career in teaching and family life with a special child. Sign up now for the October 17 Family Support Group! Hoping to hear from you. Thanks!